We always love seeing black cats, especially color-coordinated with their musical instruments. Here we see a beautiful black cat posing with a Novation Peak synthesizer. 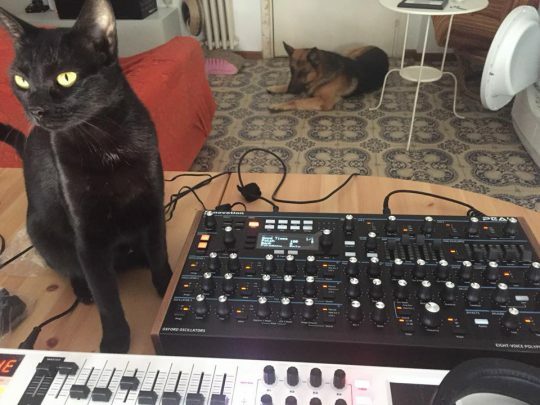 Posted on January 30, 2018 February 6, 2018 by catsynth	This entry was posted in Cats, Featured, Synthesizers and tagged black cat, cat, novation, Synthesizers. Bookmark the permalink.